I’ve been running quite a bit lately to train for an upcoming half marathon. I’m a very competitive person, so any time I mention the race in conversation I have to fight the immediate urge to explain why I’m doing a half marathon instead of a full one. It’s nothing too exciting — I just have really bad knees. Little old lady knees, in fact. One day, back in high school, I was in the trainer’s office getting my ankle taped up for a soccer game. I stood up to leave and the trainer called me back and started poking at my knees; he was quite concerned at the creaking sounds they made. I just thought everyone’s knees made noises when they walked up and down the stairs — apparently they don’t. I went to a specialist who informed me that my legs are slightly misaligned, possibly from learning how to walk incorrectly (I think I walk perfectly fine). At the age of 17, my right knee was equivalent to that of a 60-year-old and my left to a 50-year-old. For 17-year-old me, this didn’t mean much. All of the side-effects were problems for future Cindy, not teenage Cindy. Taking cartilage supplements, refraining from sports, and only wearing shoes that could accommodate arch supports seemed worse than remembering to wear my retainer every night to keep my newly straightened teeth in their proper positions (which I also deemed a future Cindy problem). I eventually forgot about it all together until I was a volcano trekking guide in Nicaragua. Turns out, that is not a wise choice for people with poor knees. So, that’s why I’m running a half marathon instead of a full one. Though the initial doctor’s prediction of needing bilateral knee replacements by 30 seems unlikely —I’ll be 30 in August— I have decided in my wise old age that a half marathon is enough. I share this story to demonstrate just how many choices I’ve had over the years simply by growing up the U.S., a country where healthcare was (arguably) accessible. When I thought I might have a problem, I immediately went to the doctor, weighed my options, and made my choices. Now, even though I’m in India where I have limited access, I can easily order my cartilage supplements on Amazon and reorder my favorite running shoes and orthopedic insoles online if mine wear out. I also realize that as far as health issues go, this is nothing. I’m extremely lucky that my biggest health issue is having to run a half marathon instead of a full one. In parts of Southeast Asia, Africa, and Latin America, millions of people lack access to basic healthcare. They don’t have access to doctors for any number of reasons; maybe they can’t afford the treatment, or maybe the doctor doesn’t have adequate resources to actually diagnose and treat the ailment. These hurdles are so large that many people aren’t allowed the luxury of informed decisions about their health. The inventions below are all working to fix a particular problem in the healthcare field. Whether each invention has a specific target, such as colonoscopy pill, or a broad one, like implementing a one-day insurance system, they share a common goal of promoting health and well-being across the globe. Step one is correctly diagnosing a patient. Diagnosis in rural villages are steeped in local culture, tradition, beliefs, and local politics, adding extra barriers to an already complicated system. Some issues, like the overuse of antibiotics, are even gaining international attention. Low- cost diagnostic tools giving immediate results are key — particularly if they’re reusable versus disposable. Harvard researchers have come up with this small, low-tech detector, which requires little more than a low-tech cell phone. 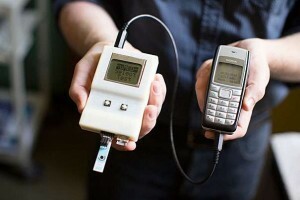 The device costs just $25 to make, and it allows doctors to stay in touch with other doctors. It also alerts both national and international organizations monitoring the spread of epidemics. This device allows doctors to instantly receive help if they come across something they’re unfamiliar, and empowers them to monitor the spread of certain diseases. One of the main advances in diagnosing various types of common diseases is the advancement of Rapid Diagnostic Tests (RDTs). Many diseases can only be confirmed with a blood test, which requires expensive instruments and takes time. Every sample is sent to a lab, leaving the doctor to guess the results if he/she wants to start treatment immediately. This article about one woman working to simplify blood tests is worth a read. An RDT is able to give results on-site within only a few minutes — think of a home pregnancy test or a glucose finger prick. Advancements in diagnosing diseases now allows doctors to confirm on the spot diseases like: malaria (since 2008), Tuberculous (since 2010), ebola and even HIV. The tests look something like the photo on the right. 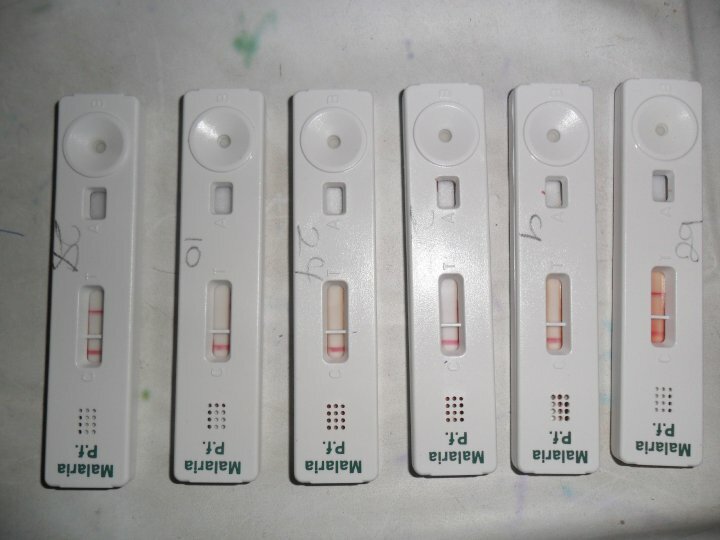 These are malaria RDTs from Ghana. 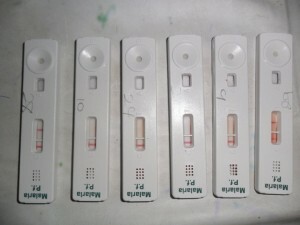 The tests on either end came back positive, indicating malaria. This means that patients with malaria can immediately be diagnosed and given the appropriate drugs. Even more, patients without malaria won’t get over-medicated. This section is my favorite. This is where people look at modern medical devices and figure out how to make them accessible to everyone. For example, a German physics teacher recently developed a pair of eye glasses that can be made for one US dollar. Even more, the technique can be taught to locals in just two weeks and the glasses can be sold for a profit. In India, an organization called Jaipur Foot creates knee replacements and various prosthetic limbs for those in need. Their knee replacement costs $20 and an artificial limb runs about $45 — they are by far the most affordable company offering prosthetic products. 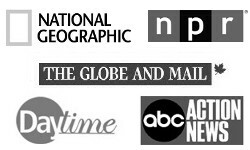 Each of these articles deserves a few minutes — they are changing how people all over the world are treated. There is one device, however, that takes the cake. 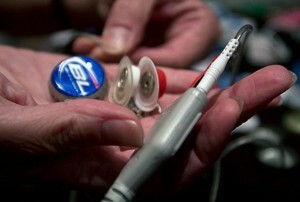 A group called Engineering World Health found a way to create an ECG machine with beer caps. ECGs (or EKGs if you use the German spelling) are devices used to monitor heart rates and detect potentially problematic arrhythmias. One problem with the machine is that it requires both disposable pads and conductive gel for each patient, meaning that the hospital/clinic must constantly spend money buying new pads. Engineering World Health created sensors using little more than bottle caps and snaps. They even came up with a recipe to make the gel! Many groups have since posted step-by-step instructions online to spread the information to anyone who’s interested. According to the World Health Organization, “Up to two-thirds of newborn deaths can be prevented if known, effective health measures are provided at birth and during the first week of life.” The majority of these newborn deaths occur in homes or unskilled facilities. Inventors are racing to save lives and improve access for both new mothers and their children. Organizations like Embrace Blanket, LifeWrap, and BRAC have pretty cool inventions that are getting very positive results. These three in particular stick out because they not only offer life-saving products, but they run excellent programs as well. 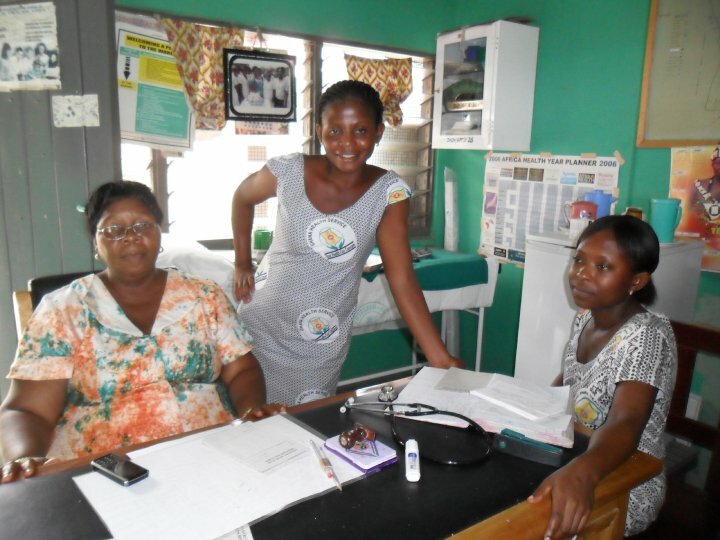 Each one teaches healthcare staff and also trains new mothers about proper health and well-being. Mobile technology is also advancing care for expecting mothers — this ultrasound app by MobiSante is taking the world by storm. 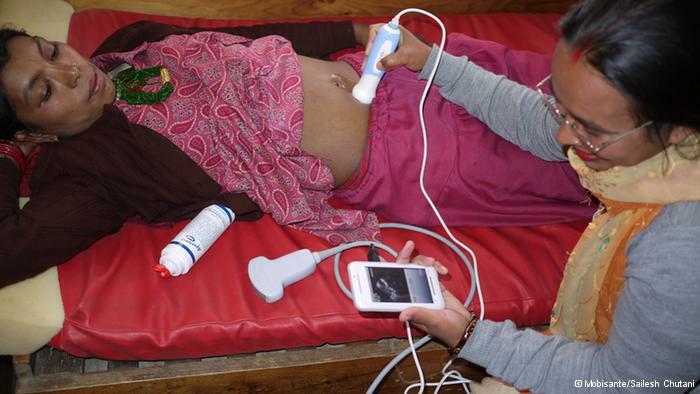 By simply connecting the transducers (the part of the ultrasound machine that gets rubbed on the mother’s belly) to a smartphone or a laptop, doctors everywhere from the Himalayas to the Serengeti can conduct ultrasounds on expecting mothers. This article talks about how MobiSante’s mobile technology is impacting healthcare in the developing world — it’s worth a few minutes to read. Like with the diagnostic tests listed above, better and more accurate screenings for women’s health are in development as well. Within the past few years, researchers have developed a method of using vinegar to screen for cervical cancer. When tested in India, this screening method claims to cut deaths related to cervical cancer by over 30%. Groups like Jhpiego are working in remote regions to offer new screenings to populations previously unable to receive them. As technology continues to shrink the planet, healthcare may be the sector that stands to gain the most. International organizations can better monitor the spread of diseases, track trials more accurately, and get updates in real time. Doctors are also better able to collaborate with one another and make more informed decisions. And most importantly, patient care and the accessibility of life-saving products is improving as a result. Check out other pieces in the Invention Series here, and stay tuned next week to learn about some new, handy little gadgets made just for travelers. There are always new products entering the market. Know of an awesome product I missed? Let me know!